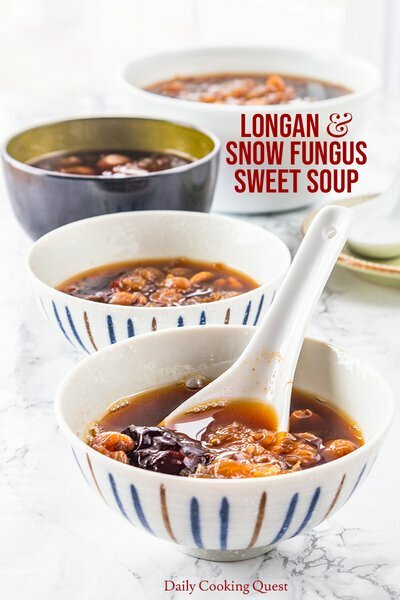 An easy recipe to prepare Chinese longan and snow fungus sweet soup, with jujube/red dates and lotus seeds. Vegan, gluten-free, and sugar-free. An easy recipe to prepare Indonesian style rendang. 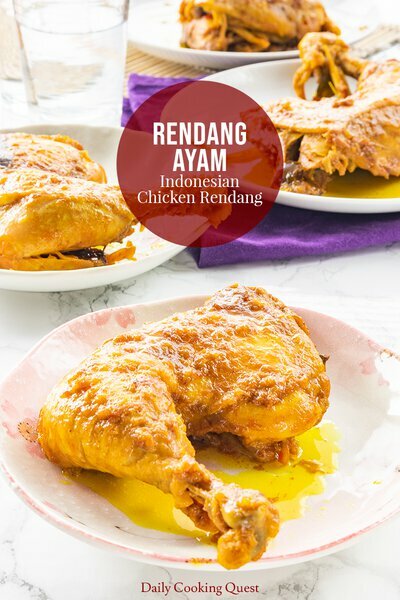 The same recipe for the chicken rendang can be used to prepare beef, pork, eggs, and even young jackfruit. 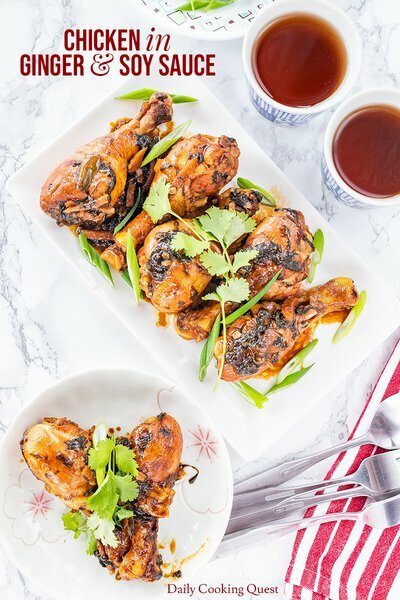 How to turn chicken, ginger, scallions, garlic, soy sauce, and kecap manis into Grandma's delicious Chinese chicken in ginger and soy sauce. 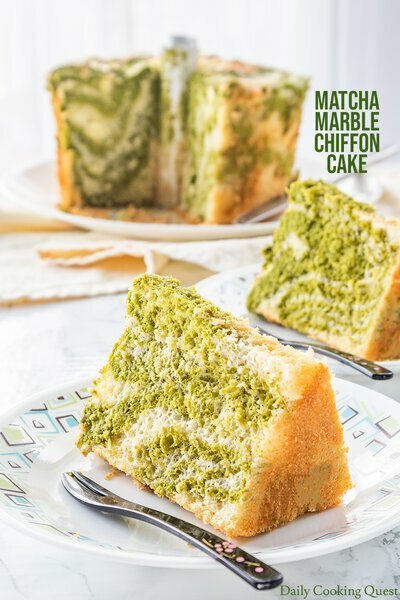 How to bake a fluffy, pillowy, soft, and moist matcha marble chiffon cake, with step-by-step photo guide to create marble pattern. How to create silky smooth Chinese savory steamed egg custard with only eggs, stock, and salt. With topping ideas to go with the steamed egg custard. Super easy, super quick, and truly delicious Thai sweet chili sauce (easier sweet and sour sauce) to go with simple pan-fried fish fillets. 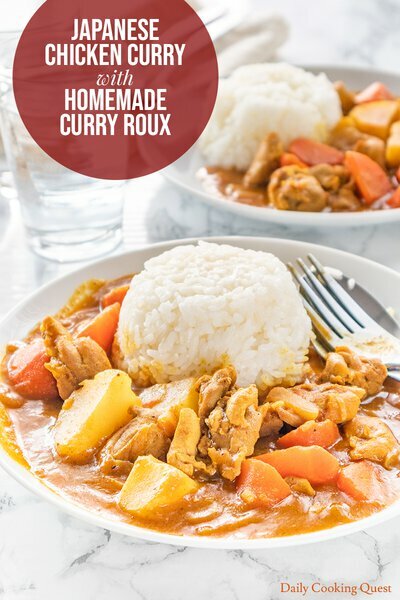 How to make your own homemade Japanese curry roux, Japanese curry powder, and garam masala; and how to cook Japanese chicken curry with homemade curry roux. 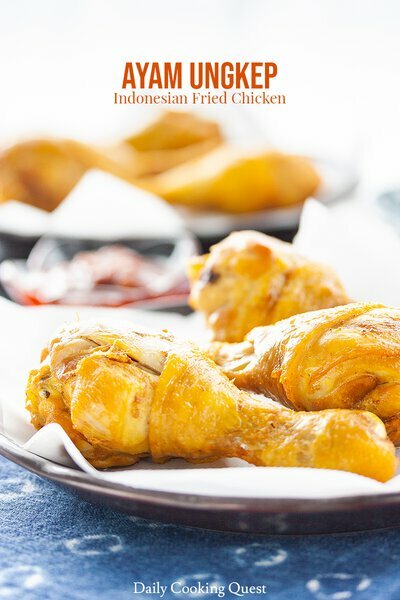 A smart fried chicken dish - the bird is first braised in stock to get flavorful and juicy meat, and deep fried for a short time to get crispy skin. 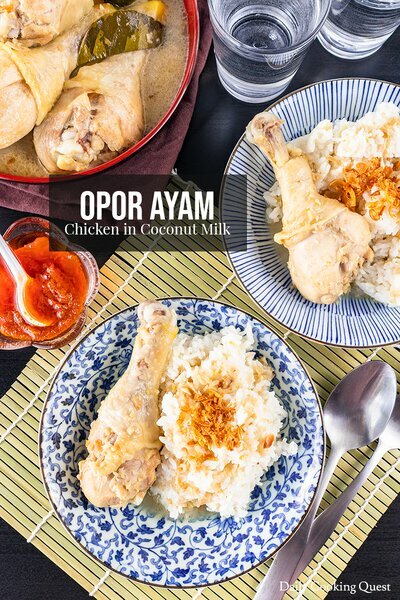 Opor ayam (chicken cooked in coconut milk) is one of the easiest Indonesian recipes you can try at home, and very delicious. 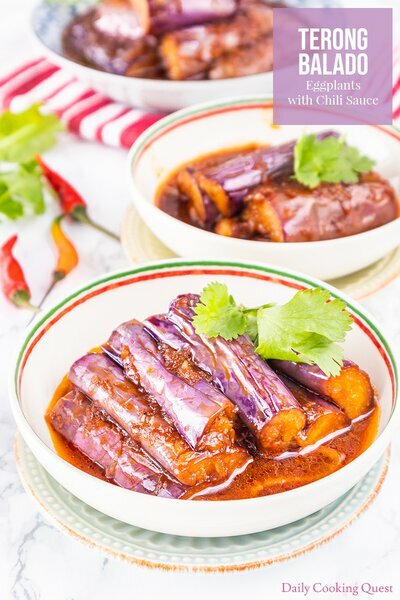 Unlike many other Indonesian dishes, opor ayam is mild and chili free, making this dish a perfect introduction to Indonesian dishes. 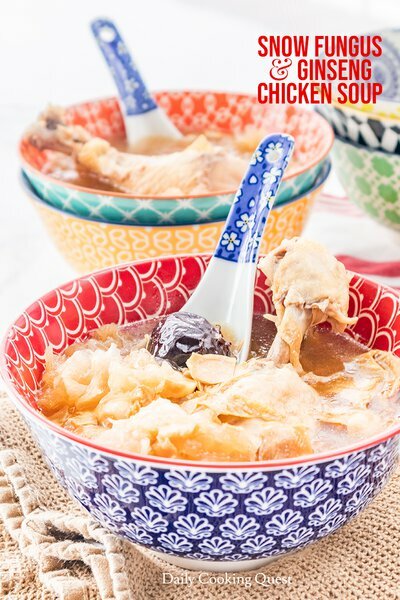 An easy recipe to prepare mun tahu, a Chinese Indonesian braised silken tofu dish, with ground chicken, drenched in thick savory garlic ginger sauce.